When is a BMW Mini Cooper a Horsebox….? ≈ Comments Off on When is a BMW Mini Cooper a Horsebox….? [Equihunter Horseboxes] Well we are just three weeks into the new year and at Equihunter we’ve delivered our next creation for a customer in Aberdeen … An Equihunter Arena based upon the BMW Mini Cooper. Now I know what you are thinking…. You’re never going to fit a horse into a Mini Cooper !!! 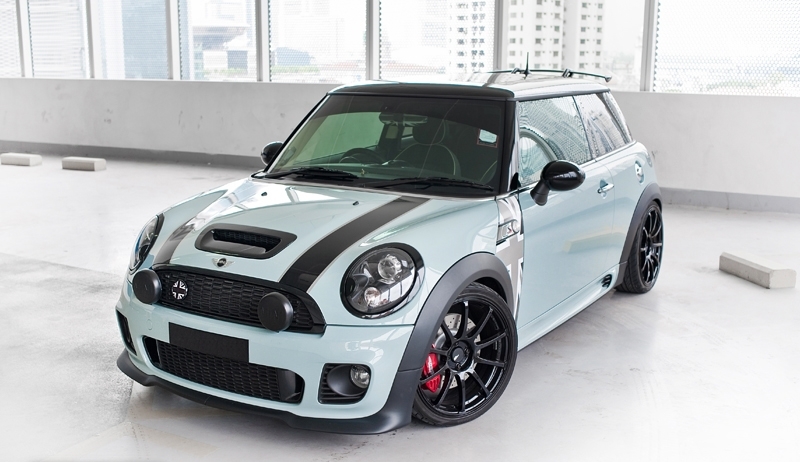 So we did the next best thing and made our Arena “look like” the Mini our customer had in mind… finished in BMW Mini Cooper Ice Blue paint and trim. It’s not just a ‘pretty face’ either, this horsebox has it all as well inside…..
Our thanks goes out to our graphics designer Luke Allen and the production team led by Graham Allen. 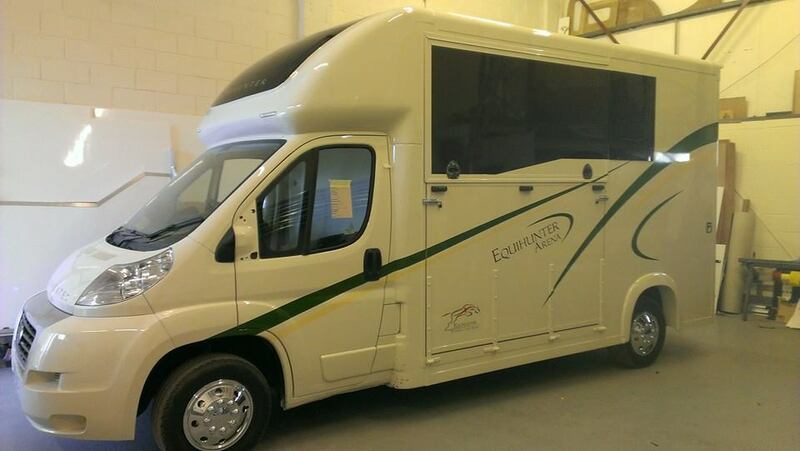 Equihunter Horseboxes are working in partnership with Creative Funding Solutions, experts in equestrian finance. They offer a total solution to find the perfect options for your purchase. Need Horsebox Insurance advice ? Equihunter Horseboxes are pleased to announce that we are now working in partnership with Brookhurst Risk Solutions, a company that specialises in Horsebox and Trailer plus equestrian insurance. From all of us at Equihunter…. May we wish all of our customers, past, present & future a very, very Happy New Year….!!! To all of our friends, supporters and those who have liked & shared our pages, pictures & stories…. … Thank You all for such a wonderful 2014… and here’s to good year for all of us in 2015…!!! Run by an equestrian for equestrians…. We were asked many times over the last couple of years when we sold a horsebox to a client, if we could recommend a reliable, cost effective and knowledgeable company who could provide insurance for our horsebox range. 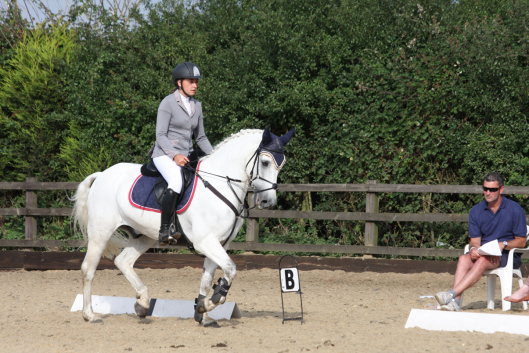 We are now only too happy to thoroughly recommend the services of Brookhurst Risk Solutions and Laura Upton, who is an equestrian and a horse owner herself. 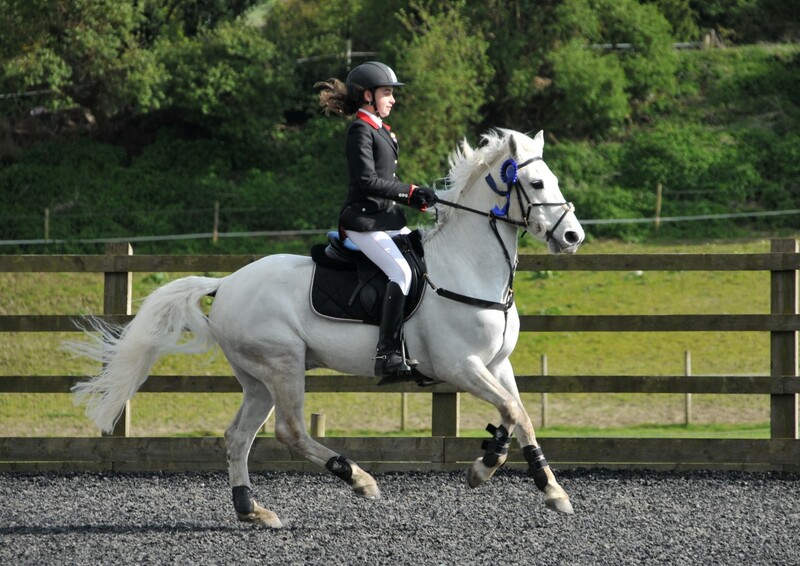 Brookhurst Risk Solutions is an equestrian and commercial insurance specialist run by Laura Upton. 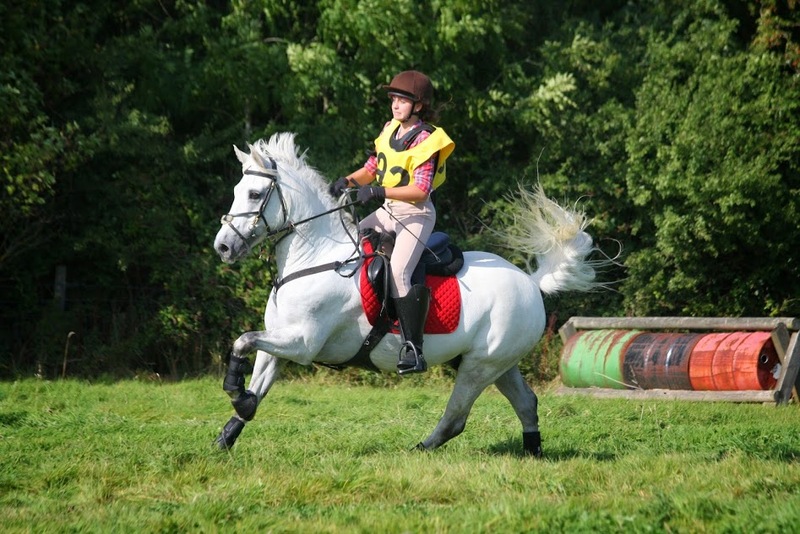 As a horse owner herself as well as being an equestrian insurance specialist she understands the insurance needs of clients including commercial insurance, personal insurance, home and equestrian insurance. Laura’s hands on approach and expertise in their business sector means you can talk to people who really understand your hobby, your investment or even your business. Cover can be arranged to also include features such as Breakdown Assistance as well as providing care and transport for your horses. [Equihunter] Team Equihunter has come of age as this year sees the final one that our sponsored Rider Libby can compete in ponies. Because we’ve moved on to horses for 2015, we sadly now have to part company with this lovely pony that have been part of our team’s successful competition life for the past 2+ years. 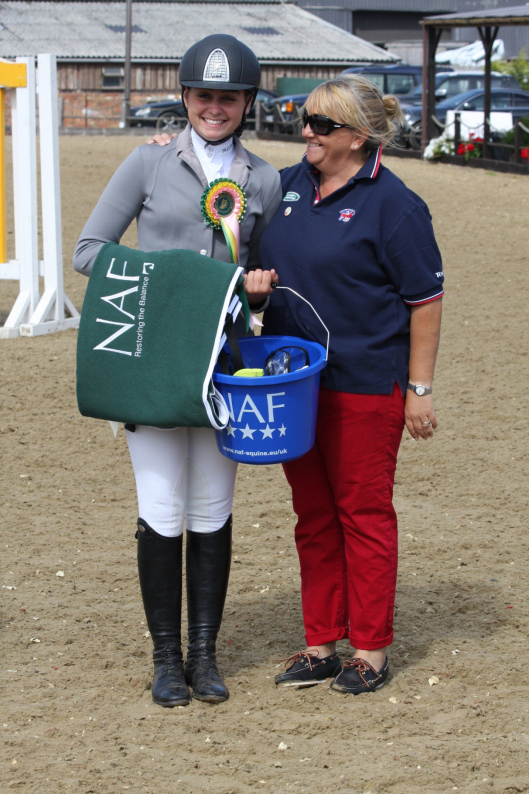 Brownie: Winning the 2013 NAF 5* Performance Awards at Weston Lawns Equitation – See the full story in the link below…. Libby Newman & Brownie Win the 2013 National Pony NAF 5* Performance Awards…..
Brownie has been an absolute pleasure to own and work with, always giving 100%. He has taken Libby from jumping 90cms to 1.10m with scope to go on and recently jumped his first ‘Members’ cup. Brownie works in a relaxed correct outline on the flat and has three uphill paces. Brownie delivers a lovely dressage test and is a true gentleman to hack out on his own or in company remaining totally calm, he is never strong. For us it is an extremely sad sale and an extra special competitive home is required for this talented little lad who would perfectly suit a child coming off 128’s or 138’s. He would also make a top class pony club pony. 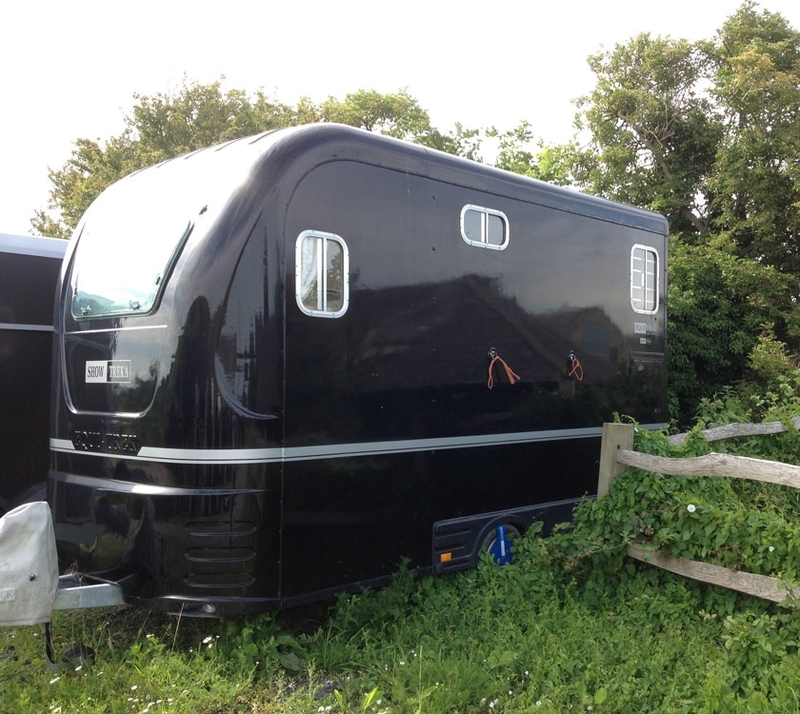 Based in Sussex an early viewing is recommended as this lovely Equi-Trek trailer will sell quickly…. Contact Chris on 07904 818389 to arrange a viewing. This superb example is only 4 years old and is in superb condition and only used a total of 10 times due to the owner having back problem and is now moving to a 3.5 tonne horsebox. It was made to the owners exacting specification with a most of optional extras fitted. Originally priced at well over £13,000 from Equi-Trek. The stylish Show-Treka horse trailer carries two horses, rear facing in safety and comfort with a totally separate living area fitted with kitchen and seats which converts into bunks for overnight stays. 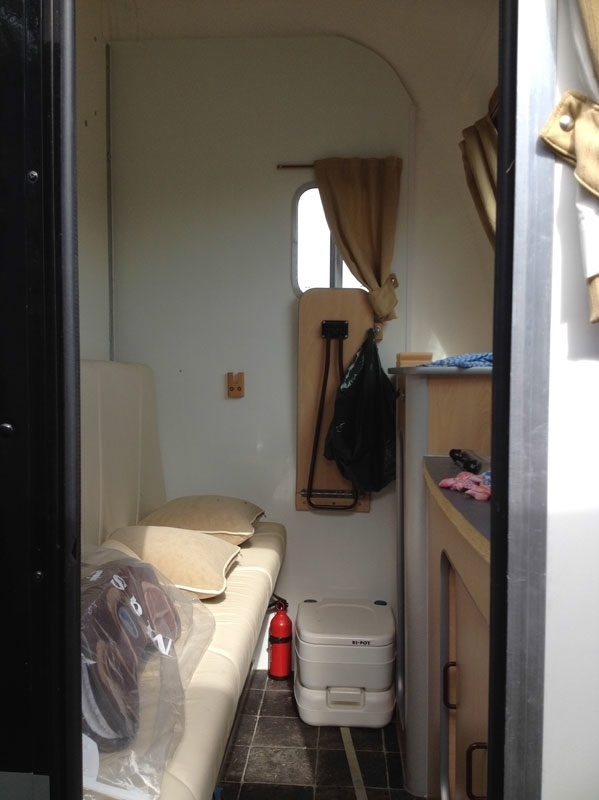 These horse trailers also has a separate lockable tack locker that can be accesses from the outside of the trailer. In addition, the Show-Treka horse trailer also has safety ramp gates for safer loading and rear facing travel for the comfort of your horse. The ramp on the offside makes it safer for loading as it prevents the handler getting trapped between horse and the trailer wall due to leading from the near side, plus less chance of been unable to drop the ramp due to obstruction such as under a bridge or against a high bank. In addition, the low, wide side ramp eliminates the chance of the horse flying backwards once loaded and making it much safer for one person to load a horse when alone. 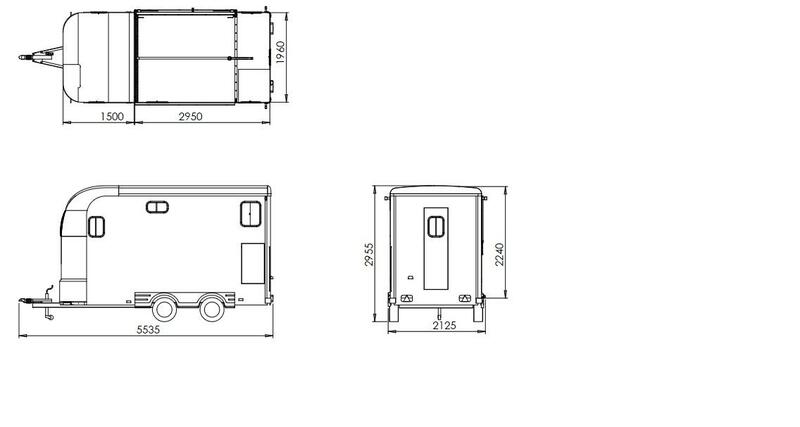 Chassis: Strong galvanized steel chassis for long maintenance-free life. Suspension: Twin axles with independent suspension for a comfortable and safe ride. Wheels: Four fully braked wheels with low profile tyres, including spare wheel and brace. Ball Hitch: Built-in lock including auto reverse. Floor: Aluminium planks covered with heavy duty rubber. Body: GRP body for long maintenance-free life with composite rubber kick boards in horse area. Colours: Standard colour: White. Any colour available at extra cost. Custom Graphics: Graphics of your choice, quotation on request. Partition: Fully adjustable partition with rubber skirt to floor. Breast Bar: Full width padded breast bar. Ventilation: Four opening windows and dome roof vent. Tie Rings: Two horse tie rings, two hay net tie rings and two external tie rings. Ramp: Easy lift spring assisted ramp with heavy duty rubber matting, alloy tread rails and ramp doors. Ramp Doors: White easy clean safety loading doors. Head divider: To separate the horses heads whilst travelling. Rear Tack Locker: Courtesy Light with two saddle and bridle racks. Ventilation: Two opening windows and dome roof vent. Kitchen: Includes twin gas hob, sink with manual pump and water carrier. Seating: Comfortable seating that can be converted into two bunk beds. Storage: Wardrobes, shelves and external locker for gas bottles. [Equihunter] The production line at Equihunter has been extraordinarily busy over the last few months and week after week we make our way through the order book. This stunning version pictured below is our latest creation….. 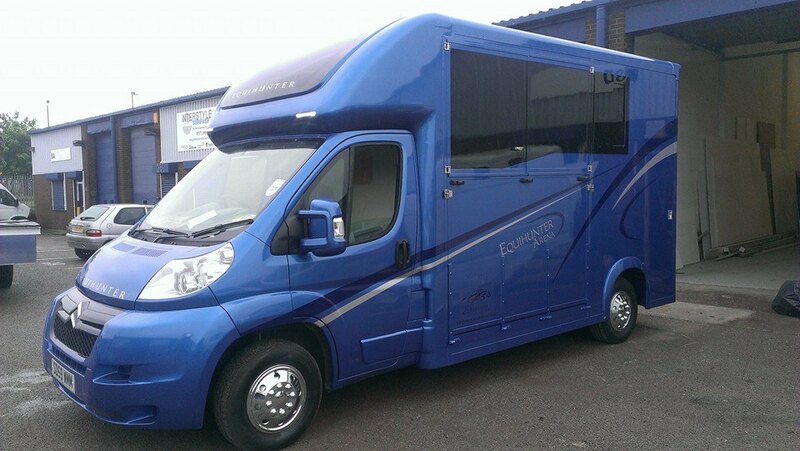 THE EQUIHUNTER ARENA 3.5 TONNE HORSEBOX IN ESTORIL BLUE makes it’s debut. 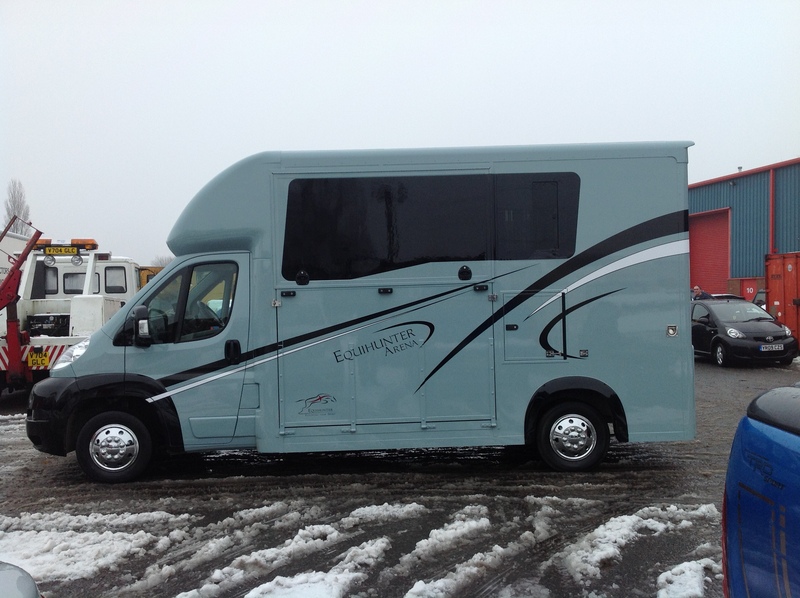 We will build you this Equihunter Arena pictured for only £12,890 plus the chassis of your choice and vat. A wide selection of over 60 items of optional extras is also available….!!! What do you get for this price….. all of this…. The basic build price includes your choice of colour in a non-metallic paint finish. The price also includes a black finish to the luton roof front & replica painted side windows plus swirls and stripes graphics, our logo and model lettering. Included is an upgrade to flush bonded opening windows in tinted privacy glass, two in the horse area and another in the locking rear door. Other inclusions in the Horse Area are a lightweight ramp with your choice of vertical lifting gas ram assisted top lid, or alternatively a barn door style is available at the same price. Also we supply a two piece full length and height partition, continuous and fully sealed rubber flooring mounted on aluminium, twin skinned roof feature, three internal lights, a fully separated living area with full height bulkhead and two access doors, two saddle racks and bridle hooks, plus seating for two. Shad meets the Equihunter again! [Equihunter] Our latest project is about to roll off of the production line next week destined for a well known riding school based in Essex. This build is finished to our customer specific instructions and is completed in a beautiful rich cream paint made by BMW called “Pepper White”, with green and gold trim that matches the corporate logo of the riding school. This Arena is built upon a 2011 Fiat Ducato chassis with only 38,000 miles on the clock. 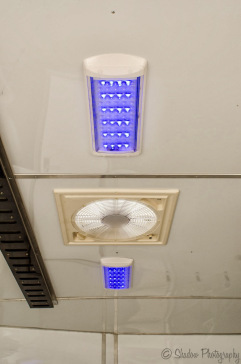 We’ve also added special features like internal LED lighting with blue night running lights as we have on our 7.5 tonne Equihunter Endurance lorry. This ensures that the horses benefit from having a lit journey during the hours of darkness, but can also see out through the windows at assign traffic, and thus are less likely to be spooked but the sudden appearance of other vehicles headlights. Other features include LED down lighters mounted above the rear door plus another set of LED down lights mounted high up on the drivers side of the vehicle to light the tie up area for those late evenings preparing to return home after dusk has fallen. Here’s a gallery of images to show this Arena off…. [Equihunter] The phenomenal growth in popularity of the new show jumping league Cashjumping™ continues as it is announced this morning that the first competition will be held in Northern Ireland this coming Saturday 1st March. In an announcement this morning (25th Feb) Bryan Shear was delighted to announce that CashJumping™ has crossed the Irish Sea and is now available in Northern Ireland and soon to be available in Southern Ireland as well. With the formation of CashJumping™ Ireland the franchise continues from strength to strength. The Meadows Equestrian Centre has signed an exclusive deal that franchises the Cashjumping league within the region under the new banner CashJumping™ Ireland. The MEC will be taking full control of Cashjumping in Ireland and will be running their own results tables and prize grid. The winnings registered will stay within the territory as well. This is what The Meadows Equestrian Centre has to say about the deal on their Facebook Page…. CashJumping has taken the UK by storm with over 3,500 participants registering for this new showjumping formula within the first 2 months. Now due to it’s remarkable success CashJumping is set to take off in Northern and Southern Ireland. Registration fees to join are only £10/12 euro and class entry fees start from as low as £10 with 50% of all entry fees being passed back to competitors by way of prize money. The first CashJumping classes will take place on Saturday 1st March incorporated into the unregistered horse and pony jumping at The MEC where the riders and their horses or ponies can compete in classes from 60cm to 1.30m. 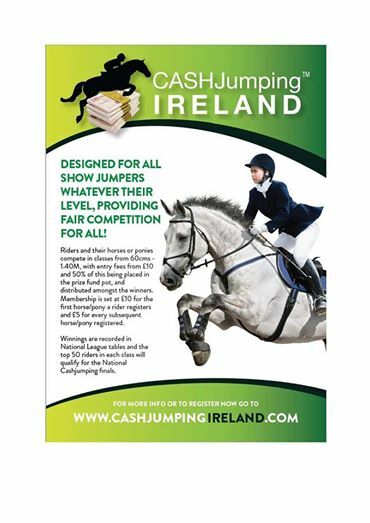 These shows will continue every Saturday with competitors having the choice of clear round jumping or CashJumping as well as registered Show Jumping so register now at www.cashjumpingireland.com to be eligible to collect your prize money on the day. At Cashjumping we have lots of exciting plans in pipeline, we want to develop the league further in 2015, lots of ideas are being discussed and we would welcome any ideas from members to keep developing Cashjumping. For the Rider Registration form click here…..
[Equihunter] CashJumping released it’s first newsletter today, the aptly named “The CashJumping Chronicle“, The official newsletter for registered Cashjumping members. CashJumping members will automatically receive a copy by email. Click here to read or download your own copy….. The first edition opens with a full page narrative from Colin Poole and Bryan Shear of how Cashjumping came about and what it’s aims are. Colin takes up the story …. “When I first thought of the concept of CashJumping only a few short weeks ago and discussed it with Bryan neither one of us envisaged that it would be so successful so quickly. We were of course aware of the spiralling costs of diesel, fees ,etc for the affiliated riders and the growing unrest amongst a number of affiliated riders that perceived their association to be unresponsive and elitist. The difficulty was that there was no real viable alternative. Affiliated riders perceived that unaffiliated competitions were poorly run with inferior officials and equipment. Unaffiliated riders were quite often apprehensive to bridge the gap between unaffiliated competitions and affiliated ones. There are nice pictorial articles featuring the first CashJumping events to be held…. The show held at Blue Sky Equestrian Centre, Golden Cross Equestrian Centre and Beaver Hall are all featured…. Don’t miss the National League Tables on page 3 and a diary on forthcoming events that have been confirmed on page 4. North East (Northumberland, Durham, Tyne & Wear) : Jan Swailes email: swailes9@aol.com.